My husband is a self-professed “boring” eater. The plainer the better. 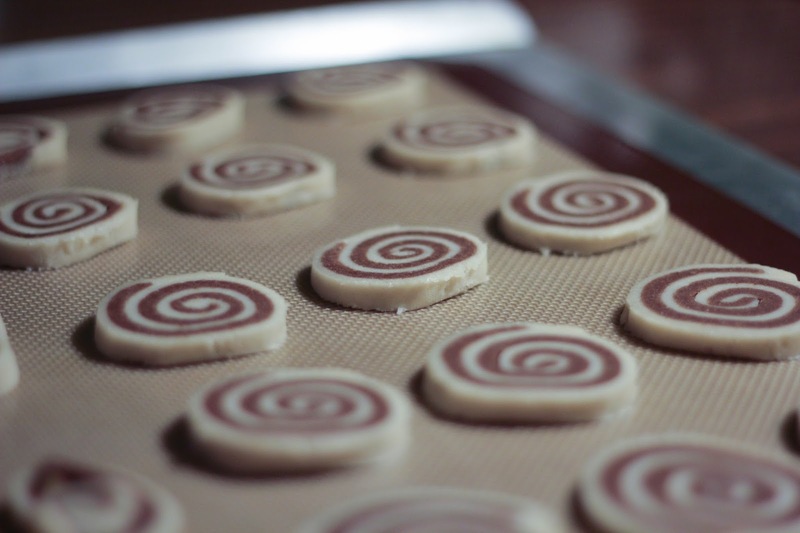 Therefore, it is no surprise that his favorite holiday cookie is the Pinwheel: a simple sugar cookie / chocolate cookie dough rolled together to present a colorful, plain cookie. Of course, such a simple cookie requires the finest ingredients. Creamy butter, pure vanilla, and dutch cocoa. Same as above except …. Beat butter, sugar, salt and vanilla together until light and fluffy. Add sour cream and flour mixture alternatively in 3 additions, blending well after each. Divide each dough in half (you will now have a total of FOUR batches). Do this for all four pieces of dough – then refrigerate approximately 30 minutes. Take out two batches of dough at a time – one chocolate and one vanilla. Take wax paper off tops of both. Place one uncovered side on top of the other. Remove the top piece of wax paper. Slowly roll the two doughs together, creating a pinwheel design. Place rolled dough in refrigerator while you assemble the remaining two batches. When ready to bake…. take rolled dough out of refrigerator and cut into 1/4 inch slices. Dough may remain in the refrigerator up to two weeks. White and chocolate pinwheels used to be one of my go-to recipes, but I haven't made them in years! I always used the Joy of Cooking recipe. I don't know if yours is the same or different from that. 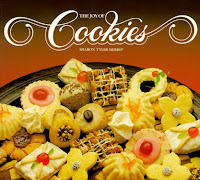 I got the recipe from the featured cookbook: The Joy of Cookies. I'm not sure how it compares to the Joy of Cooking recipe. The ingredients make it sound like it is a simple recipe but it really is quite complex. So beautiful, too! I like simple too. These sound really good!